The Egyptian Archive for Folk Life and Folk Tradition was granted the 2013 Arab e-Content Award for e-Culture and Tourism, presented in Bahrain early December. The award is affiliated to the World Summit Award (WSA), a global follow-up initiative of the United Nations World Summit on Information Society (WSIS). A partner of key UN organisations and agencies in the framework of the UN Geneva Agenda and the Tunis Action Plan, the award helps promote the world's best e-content and innovative ICT applications. 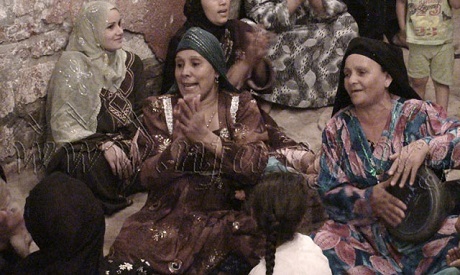 With the assistance of a 2006 grant from the Arab Fund for Economic and Social Development, the archive -- hosted in the heart of Fatimid Cairo's Beit Al-Kharazaty, adjacent to Beit Al-Seheimy -- became the central database for Authentic Egyptian folklore, social history, oral traditions as well as handicrafts. Thanks to the efforts of an estimated 40 young men and women, in addition to some 15 experts and professors of folk heritage, the Egyptian Archive for Folk Life and Folk Tradition has succeeded to showcase the wealth and vivacity of Egypt's authentic traditions with the utmost simplicity and detail.